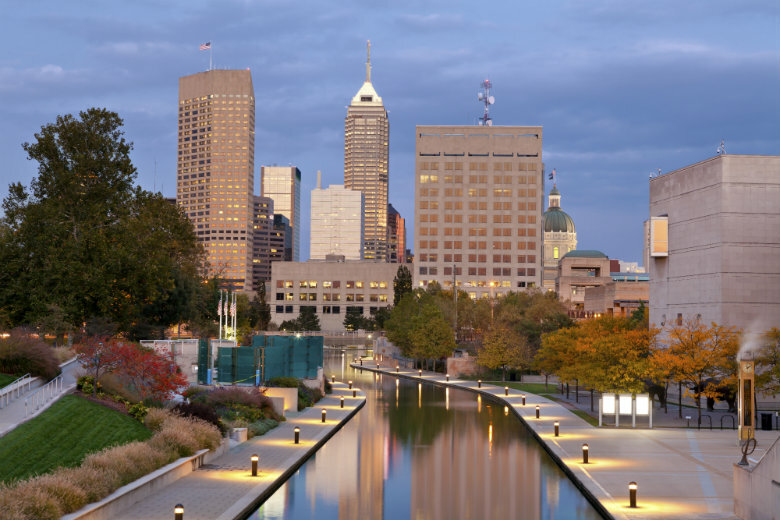 Indiana may be best known for cars and racing, but there is so much more to it than that. There are several unique places to see and fun experiences to be had (see destination spots below). The standard of living is high, and the educational options are extensive. Visit Indiana. No matter why you decided to enjoy this magnificent state, there are several reasons why you might need your vehicle transported from somewhere else. You are moving for a job. Hitting the job market can be stressful. Regardless if you are starting a new job or you are on the hunt for one, you will most likely want to start as soon as possible. You have most likely already lined up your housing plans, so why not move in quickly. With our car shipping services, you will be able to ship your vehicle, hop on a plane, and potentially start work the very next day. This will also remove the extra burden of having a stressful drive. Read more with our Corporate Relocation Guide. You are entering into a classic car show. Are you showing off your beautiful vehicle in a car show? If so, consider shipping your vehicle to your destination instead of driving it many miles. We understand that you love your car, but driving it hundreds or thousands of miles can be detrimental to the integrity of the vehicle. At National Dispatch, we have specially trained personnel to help assist you in this process. Your car will be taken care of with special attention and will arrive to you as beautiful as ever. Read more on Classic Car Shipping. You are going on a long vacation. If you are a person who likes to take extended vacations, then car shipping services might be a good option. Renting a car can become extraordinarily expensive and a little bit nerve wracking, especially with all of the hidden fees. By transporting your vehicle, you can enjoy the comforts of your own vehicle without the added pressure of a rental car. Read more on Shipping A Car For Vacation. 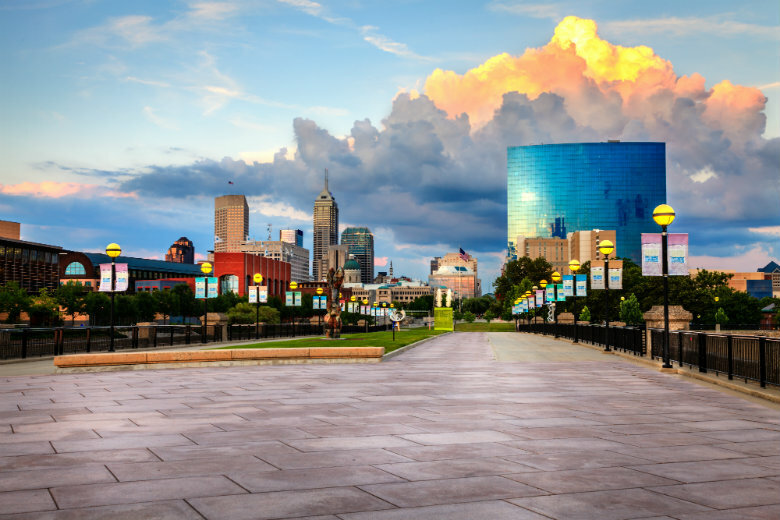 When you and your car have safely arrived in Indiana, it is time to get out and explore. Here, at National Dispatch, we have put together a list of five spectacular places to visit. Located in Indianapolis, there is a hidden network of passageways lying beneath the surface of City Market. While the City Market is a hugely popular spot, many people are unaware that beneath their feet are miles of hidden tunnels that were built over a hundred years ago. The catacombs were built with limestone and brick and contain many archways. The original purpose of the catacombs was to transport and store meats and produce to sell at the market. Because refrigerators did not exist yet, the catacombs made the perfect place to store the goods due to the cooler temperatures below ground. While the tunnels are not open to the public, you can schedule an appointment to go down into them if you have a good reason. However, this soon may be changing for the better. The owners of the City Market are starting to realize that the catacombs are a good resource and have been scheduling more tours than ever. Located in Bedford, the Bluespring Caverns are a unique adventure. Here, you can find the nation’s largest navigable underground river. The river is approximately 21 miles long and was first discovered in the 1800s, but cave entrances continued to be found up until the 1940s. Because of the unique situation of the river, many people have reported seeing nearly translucent amphibians, fish, spiders, salamanders, crayfish, and more. The blindness and translucent skin comes from the caves being so dark. These animals are never exposed to sunlight, which helps with pigmentation. Unlike most caverns, the Bluespring Caverns are known for their abundance of life. If you are interested in seeing some of these amazing species, the public can set up appointments and tours. If you have ever wanted to see the last remains of an ultra-religious society, then New Harmony is the place for you. The Rappites lived in New Harmony in the early 1800s and were a very religious German society. The city of New Harmony contains the last living remnant of the society, a beautifully constructed labyrinth that was restored in the 20th century. The labyrinth has free admission all-year long and represents peace and unity. In the center of the labyrinth sits a stone Rappite temple that visitors can find their way to for a time of meditation. If you are afraid of getting lost, there are gates that allow you to skip the maze and get to the temple or get out rather quickly. Learn more about New Harmony. Do you love science? Are you a visual learner? Have you ever wondered what the basic elements make up in the world? In Greencastle, there is a giant display of the periodic table. Most of the elements are placed in six inch cubes. However, due to the nature of some elements, a few of them are picture displays only. This is to help prevent a disaster from happening, including death to the viewers. The creators of this display worked really hard to not make it boring. For example, most metals look similar and the creators figured nobody would want to stare at the same thing. So, they got creative and provided examples of what the elements were used for as well as showing their purest form. This is a really unique way to show how elements create nearly everything we use and touch on a daily basis. Located in the small town of Elkhart lies a homemade museum of comic books and superheroes. The museum was created by a local and is fueled by his love of superhero comics. At the museum, you will see thousands of collectibles, action figures, props, and comic books spanning the entire life of the genre. The collection holds some extremely rare items, such as one of the only two remaining costumes used in the television show The Greatest American Hero. In addition to these collectibles, one of the most impressive features is the remodel of the museum’s outside to make it look just like the Hall of Heroes. If you are in need of car shipping services to or from Indiana or the surrounding area, contact National Dispatch. We are a nationwide car shipping company with a company-owned fleet. Request a free, instant car shipping quote on our website. No personal information is required. If you prefer to speak with one of our representatives, call us at 800-321-2051.